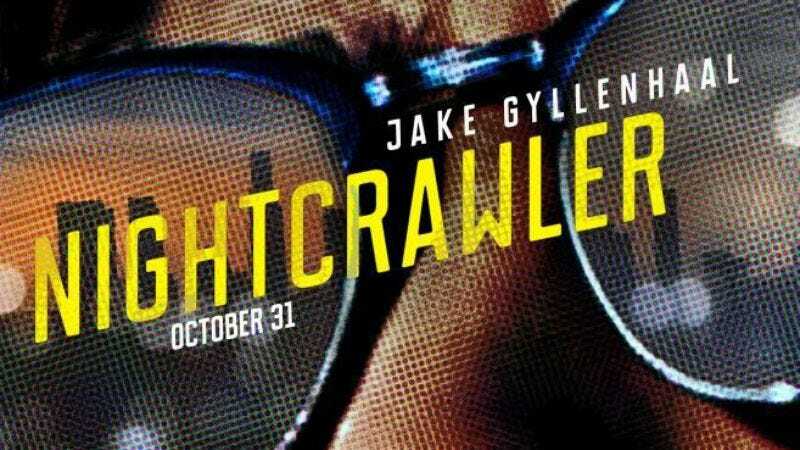 Jake Gyllenhaal channels his inner creep in the new crime thriller Nightcrawler. The film follows go-getter Lou Bloom, a driven young man desperate for a job. After witnessing a car crash on the highway, Bloom discovers the high stakes, lucrative world of crime journalism and along with it an opportunity to become something more. The film hits theaters nationwide October 31, but The A.V. Club has an opportunity for you to attend an early screening on October 28, here in Chicago. For a chance to receive event passes simply follow the link here and enter your contact information. The lucky winners will be chosen automatically on October 24. Remember, seating is first come, first serve, so arrive early! A trailer and synopsis for the film can be found below.